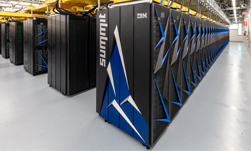 The U.S. Department of Energy’s Oak Ridge National Laboratory (ORNL) today announced Summit as the world’s most powerful supercomputer. 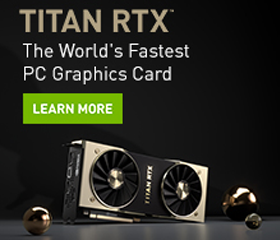 The GPU-accelerated supercomputer, equipped with 27,648 NVIDIA Volta GPUs and configured using the high-speed NVLink interconnect, is designed for research in energy, advanced materials, and artificial intelligence. The system can perform more than three exaops, or three billion calculations per second, and is 100 times more powerful than ORNL’s previous Titan supercomputer. Some of the early research slated to run on Summit include projects in astrophysics, such as studying exploding stars or supernovas, cancer research, material development, and systems biology, which consists of the application of machine learning and AI to understand human health and disease outcomes. For cancer research, the Department of Energy and the National Cancer Institute have teamed up to study and discover the relationships between disease factors such as genes, biological markers, and environment. In biology, researchers from the U.S. Department of Veterans Affairs are studying the clinical and genomic data to understand the genetic factors that contribute to conditions such as opioid addiction, which affects thousands of veterans. The supercomputer will be open for select projects this year. Researchers can apply to use the supercomputer through the Department of Energy’s Innovative and Novel Computational Impact on Theory and Experiment, or INCITE, programs.